Time is running out for Ralph Ribbit Ralph Ribbit is in a panic. 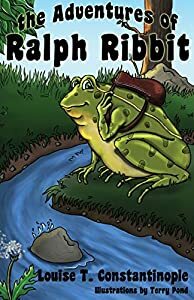 He's about to leave his lily pad home to travel far upstream to Leaps and Bounds, a sports store, to pick up shirts for the Muddyville Middle School track team. Ralph's son Reggie and the other frogs on the team are counting on him to get back with the shirts in time for the championship meet on Saturday. But the map to the sports store has suddenly gone missing, and Ralph doesn't know how to get there without it. Follow Ralph on his frantic race against time as he confronts obstacles that threaten to keep him from completing his mission. Will he make it, or will he let down not only his son but the entire team as well? Pete is a typical young boy growing up in a world of computer games and superheroes. His younger sister, Adie, absolutely adores him and is always glued to his hip. They are busy preparing for a visit from his Aunt and older cousin Harold. Pete has been bullied by Harold in the past which has him dreading this visit. This weekend, Pete would rather be reading a story about wizards, vampires, and warewolves. Instead he will have to tolerate Harold's bullish ways and dodge the trouble this will cause with Mom and Dad. Little does Pete know, Harold's words and actions will lead to his worst nightmare. A day meant for fun and play, quickly turns into teasing and prodding by Harold, which throws Addie and Pete into the depths of darkness. Pete will need all his strength and wits to battle with a real monster that threatens to swallow them whole. Pete is about to experience the most dangerous, frightening adventure of his life. When we are children,we must learn to stand up for ourselves and the one's we love. We have all had our fair share of the "BULLY", and if lucky, were never left with a scar. Reality is, we do not live in a world of superheroes to save the day, and the bully never goes away. Pete's story shows us how easy things can escalate and gives us the faith to trust our instincts to prevail. 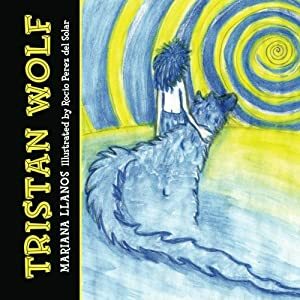 One of the best children's books of 2013, Tristan Wolf is a finalist of the Reader's Favorite Awards! There is never a dull moment in Tristan's life! Abandoned as a baby, he was raised by wolves and speaks the language of the forest creatures. But at eight years old, he discovers the truth - he's not an animal, he's a human! Despite his wolf mother's warnings, he sets out to find out how others like him live. He makes friends with a hungry coyote who agrees to take him to a farm where humans live - if he will reward his "kindness" with some tasty chickens. But Tristan's mission leads him into trouble, and fast! He encounters a lot of nervous chickens, a worried ex-race horse, and a group of panicked pigs that will make his journey even more exciting. 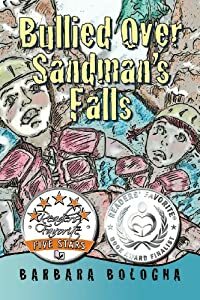 This is a great piece of children's literature for kids who love adventures! With its fun story line, and intriguing illustrations, this book is sure is to become one of your kid's favorite children's books! Hunting season has finally arrived and Battle Cry, a Plott Hound, is on his first hunt of the year. Every ounce of him from his nose to his tail quivers with excitement. He eagerly anticipates romping through the woods with his Plott companions to see who can be the first to strike, tree, or bay. Little did he know that around the bend an event loomed that would change his life. Learn about the breed that North Carolina has recognized as its state dog by following this touching tale of Battle Cry's journey as he adjusts from hunting in the woods to celebrating his new life as Lucky. Miss Sugar Crumb is a fair young maiden who loves animals and people. She enjoys feeding animals and taking food to the sick and needy. She never asks anything in return for her generosity. Wonderful, magical things happen to both animals and people who taste the treats cooked in her kitchen. Among those affected by this magic are a young couple and some forest animals. Their story comes alive with Malinda's words and Nora's beautiful illustrations. 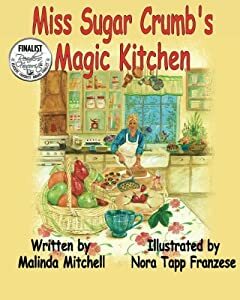 Miss Sugar Crumb’s Magic Kitchen is a finalist in the Readers Favorites 2012 Annual Awards contest Author Malinda Mitchell has been writing fiction for all ages for more than forty years. However, writing children's stories is her passion. She lives in Mississippi with her husband, Alton, and their fifteen-year-old son, Anthony. She has four grown children and eight grandchildren. Malinda is a graduate of West Georgia Technical College and is a retired nurse. Illustrator Nora Tapp Franzese lives in New York, with her husband, Frank, and her creative little ones. Nora is a graduate of New York Institute of Technology in Fine Arts & Design and holds a master's degree in art education from Dowling College. She has been painting and illustrating for over 20 years and teaching art for 10 years. She enjoys the creativity and talents of the many students who have inspired her throughout the years. Young people naturally dream about their futures. They are influenced by family, friends, and teachers as well as the Bible and other books, television, movies, life experiences, and their unique abilities. Reinforcing dreams with positive role models is essential. Ori's story, along with the Discussion Guide included at the end of the book, helps young readers share thoughts and questions with friends and small groups. 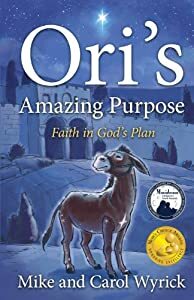 Ori the donkey overhears his master talking to his son about God, creation, and a special purpose for every living thing. Convinced that he has his own special purpose-one which exceeds what others expect of him-Ori overcomes hardship and discouragement through faith and perseverance. This allegorical story will inspire young readers to do the same. Buddy Boutonniere, a big-hearted Standard Poodle, subsists in the bare backyard of a tract home in the desert city of Yucca Dunes. MacKenzie, a Border Collie, and Javier, a Chihuahua, provide Buddy with scraps when his neglectful owners forget. 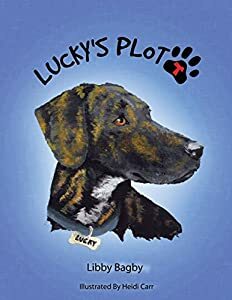 When Buddy's owners decide to move, Buddy meets a wonderful lady who visits his house with prospective buyers. 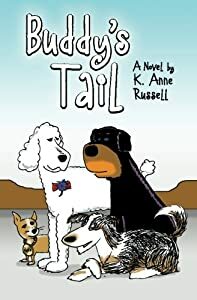 The poodle's humans try to sell him and Buddy goes through a series of unsuitable situations. The final family returns Buddy not realizing his owners are out of town. His only lifeline, MacKenzie, is killed by an evil Hummer driver. Javier tries to support Buddy with the aid of Dumb Derek, a brain-damaged Rottweiler. The two are unable to help. Buddy dies, but is brought back to life by Sonny, the Good Shepherd. Sonny grants Buddy's wish to live with the lady, in return for his promise to go with Sonny when he comes back for him. Buddy has a happy life with the lady and her dog, Skootch. Together they rescue abandoned Leroy and abused Roxanne. Years later, during Skootch's fifteenth birthday party, Sonny comes for Buddy. Sonny takes Buddy to Haven, canine paradise, where he is reunited with MacKenzie. Sonny explains the rules; dogs acquire free will and give up caring for humans. Their only responsibility is to help guide other dogs to Haven. Buddy excels at guiding, but on a mission to bring back a bomb dog from Afghanistan, Buddy helps a human, the dog's Marine partner. The residents of Haven are furious and Buddy is exiled to the perimeter of paradise. There he meets a girl who has died of cancer and befriends her, another infraction. He is dragged before the communal tribunal, where MacKenzie defends him. With the help of the marine and the girl, she convinces the judges that Buddy is not an offender, but a hero. 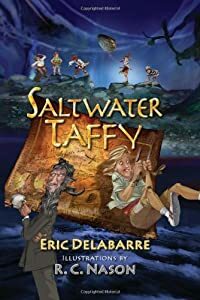 Saltwater Taffy is an Accelerated Reader title, endorsed by 12 Teachers of the Year around the country. 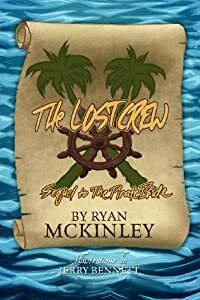 The adventure story follows the lives of five 'tweenage' friends as they uncover a treasure map that once belonged to the ruthless New Orleans pirate, Jean Lafitte. The discovery thrusts them from one treasure-hunting adventure to the next as they try to out-wit, out-think and out-maneuver everyone from the one-legged junk-yard man and an overbearing town bully, to the creepy old man living at the top of the hill. Saltwater Taffy is a coming-of-age adventure that grabs the reader and never lets go. 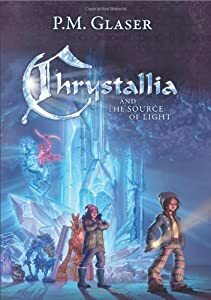 A life affirming story about a fourteen year old girl and her eleven year old brother who, on the eve of their last Christmas with their dying mother, take a magical journey through the underground world of crystals and minerals in search of the source of light.